Turned staircases are masters of disguise. With their right-angled forms, they can conceal upper floors from view and fit into spaces you would never imagine. They also operate under a variety of different aliases, including: winder staircases, kited staircases, L shaped stairs and even ‘dog-legged’ stairs. If you’ve spent time looking for a new staircase, you’ll probably have seen some or all of these names mentioned at some point. In several cases, they’re simply different ways of describing the same thing. 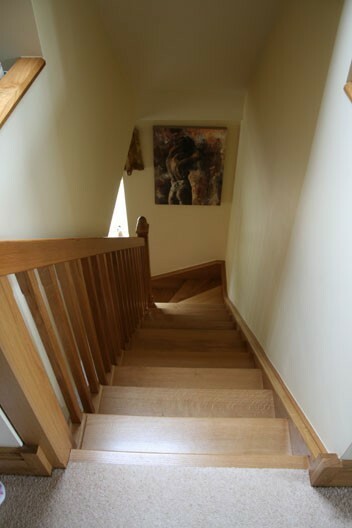 So, what are the actual different types of turned staircase, and where are they best used? Staircases with a level platformed turn – Often referred to as L-shaped, dog-legged or right-angled staircases. Winder staircases – These staircases have a stepped turn and can be further divided into either kited or combination staircases. When visiting a stately home or mansion, you’ll more than likely walk up, or at least see, a staircase with a platformed turn. They make a big statement whilst keeping the upper spaces out of direct view and offer a helpful resting point half way up the stairs. Their shape also makes them particularly useful if you need to provide upper floor access in an awkward corner space. We can adapt any of our straight staircase designs to create a platformed turn with a continuous balustrade. One thing to bear in mind is that the introduction of a platformed mid-section means these staircases can sometimes take up more floor space than a conventional straight staircase. For a more compact alternative, it’s worth exploring winder staircases. By incorporating a stepped curve, rather than a horizontal platform, winder staircases can greatly reduce space requirements. The turn can be introduced at different heights in a staircase. For example, if you’re dealing with an angled ceiling then a winder staircase with a turn near the base can help to maintain head height on the staircase. Combination stairs – Uses straight forward spiral treads to create the turn. Kited Stairs – Use flat edge patterns which follow the lines of a wall. We can manufacture these designs in both solid timber or cast aluminium. 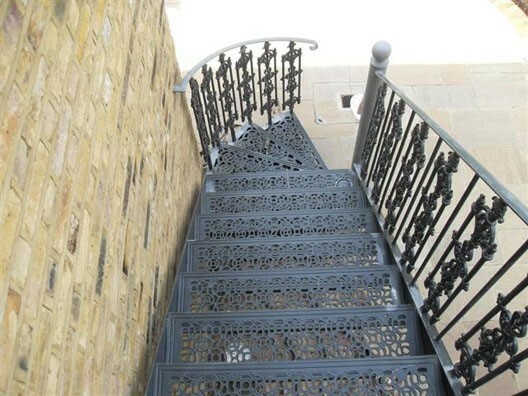 The LCC pattern kited staircases are a particularly popular choice for light wells or basement access within London’s Georgian conservation as their period designs complies with the tougher planning requirements. 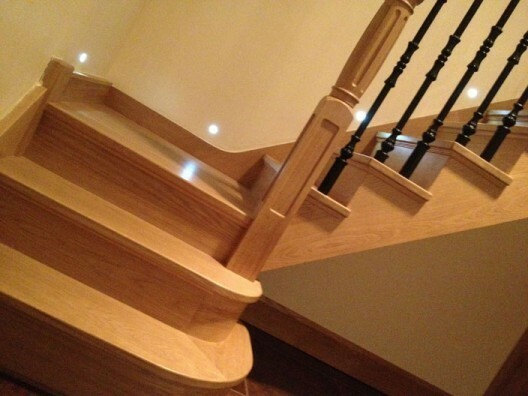 To find out more about the staircases designs we can offer take a look around our website or get in touch via phone (01663 750716) email (sales@britishsc.co.uk), or by visiting our showroom.